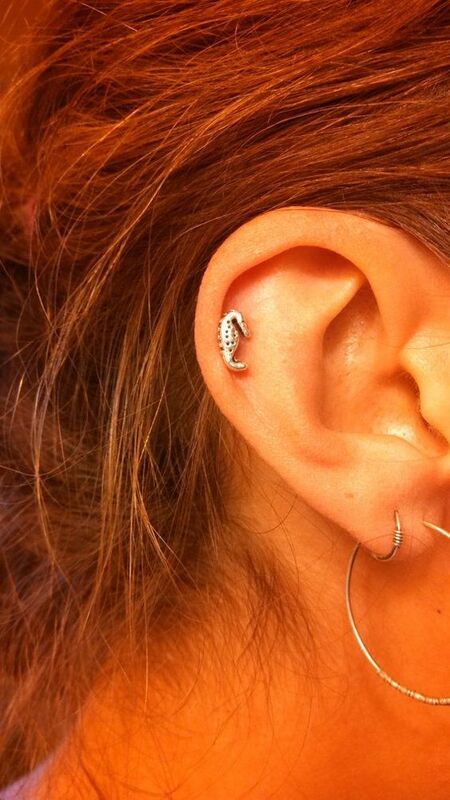 The helix piercing is one of the most common ear piercings that you can see in women and men. There are three types of helix piercings: helix piercing, forward helix piercing, and double helix piercing. Today, we are going to discuss what these are, how to properly take care of them, how much these things will typically cost, and many more. Make sure to keep on reading if you are planning on having this piercing done soon. 1 Helix Piercing – What is it Exactly? 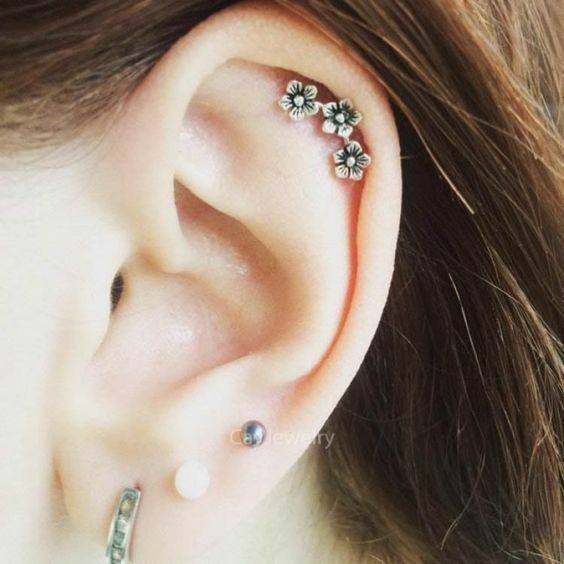 2 What are the Different Types of Helix Piercings? 3 What Can I Expect During the Procedure? 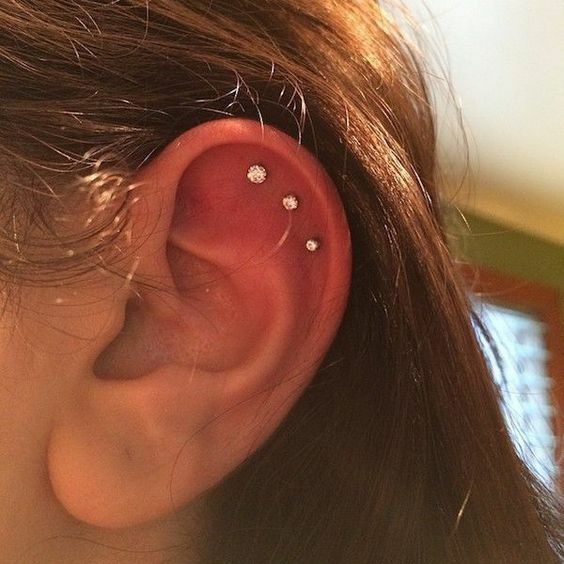 4 How Much will the Helix Piercing Hurt? 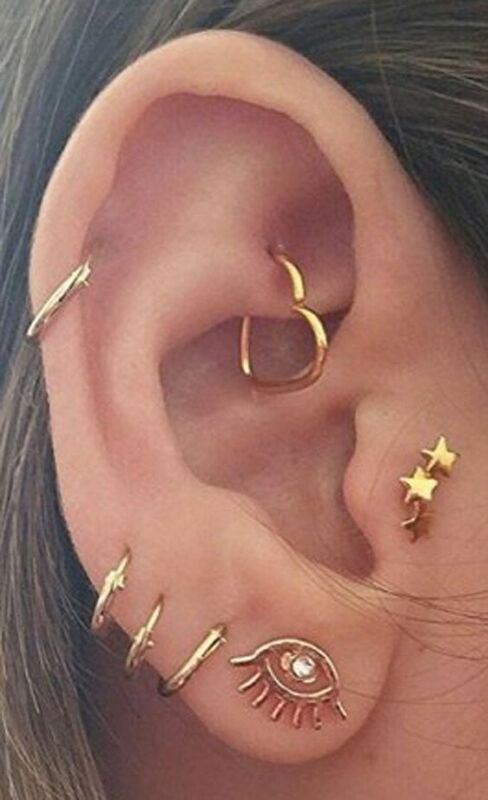 5 How Much Should I Prepare for the Helix Piercing? 7 How Should I Clean my Piercing? 8 How Long Should I Wait Before my Piercing Completely Heals? 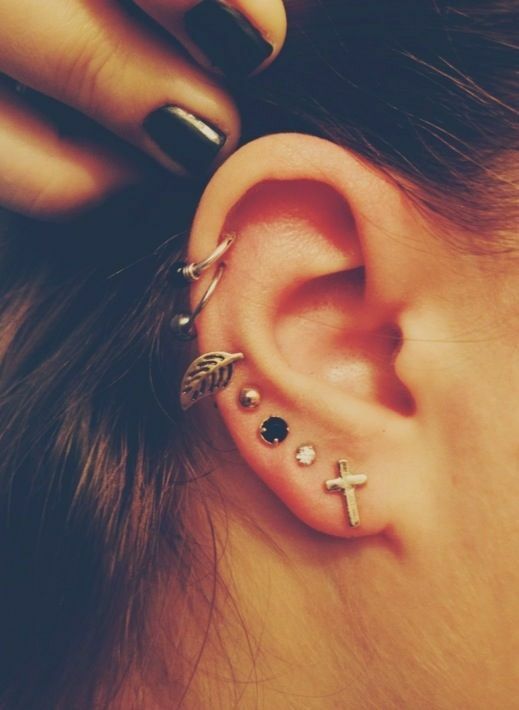 9 How Old Should I be to be able to Get a Helix Piercing? Helix Piercing – What is it Exactly? A simple helix piercing plus some ear piercings. A helix piercing is a type of ear cartilage piercing. It is done on the outer upper ear cartilage or the frontal cartilage area of the ear. The first one that we have indicated is a helix or a double helix piercing, while the latter is a forward helix piercing. The healing period and aftercare instructions are pretty much the same for all three. The main difference is the placing and how many piercings there will be. 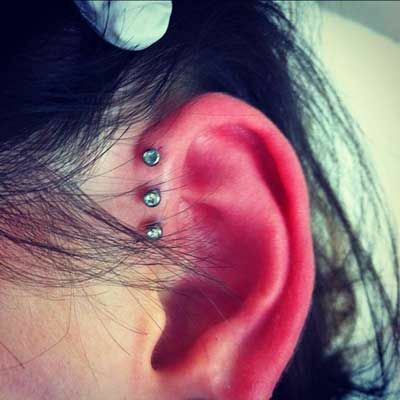 As we have mentioned earlier, there are three types of helix piercings – helix, double helix, and forward helix. Listen up as we are going to talk about it today. A fancy stone used for a helix piercing. 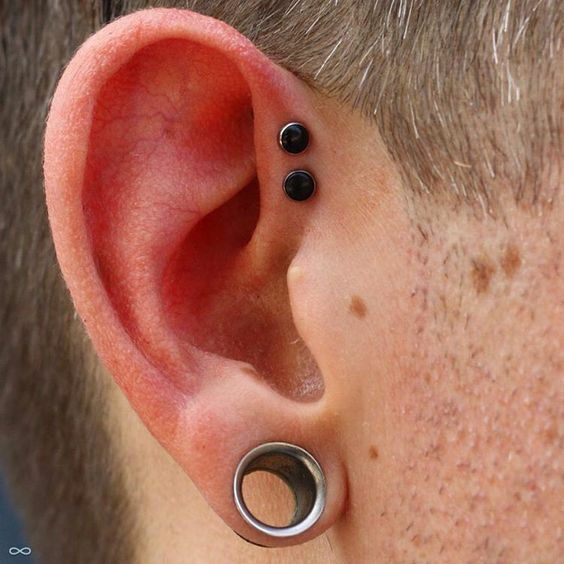 The helix piercing is done on the cartilage of the outer upper ear. Different types of jewelry can be used for this piercing and some of the most common are hoops, rings, and studs. Some women prefer to use precious stones or flower studs for the piercing to make it look more feminine and fun. aA double helix piercing done on a woman. There are two types of double helix piercings: one is the double helix piercing and the other is the double forward helix piercing. The double helix piercing is done on the cartilage of the outer upper ear. It has a similar placement to the helix piercing, the only thing that is different is that it involves two piercings, hence its name “double helix piercing”. The double forward helix piercing is done on the inner cartilage of the upper ear. It involves two piercings, which is why it is called the “double forward helix piercing”. 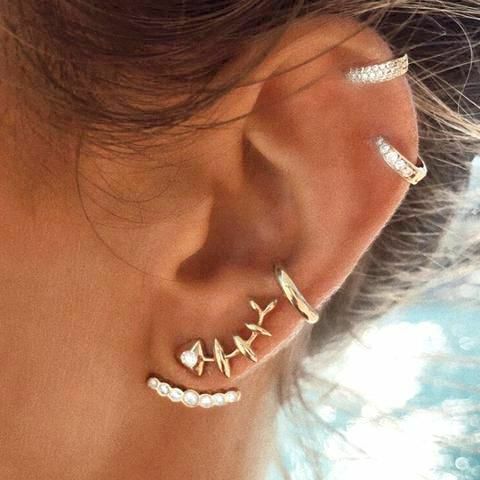 Some people tend to get the same type of earrings or jewelry for both the piercings, while other people opt for getting different jewelry for each one. 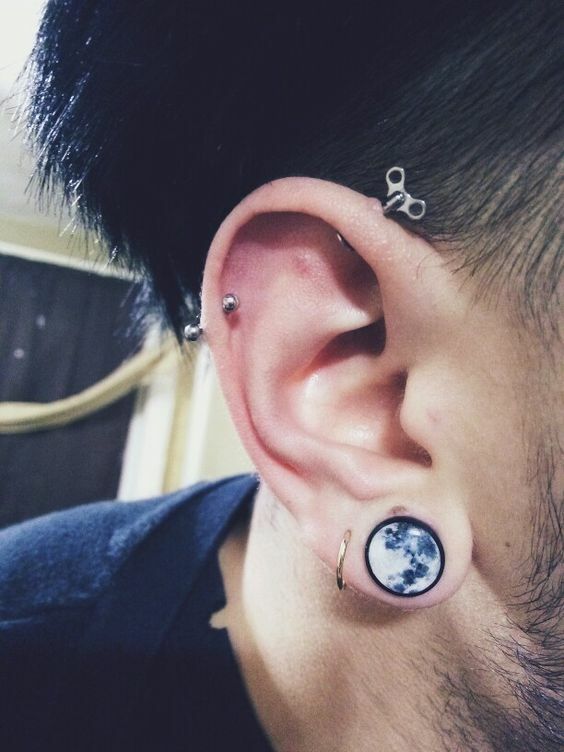 A double forward helix piercing done on a male model. The forward helix piercing is done on the upper cartilage of your ear, which is directly above the tragus area. 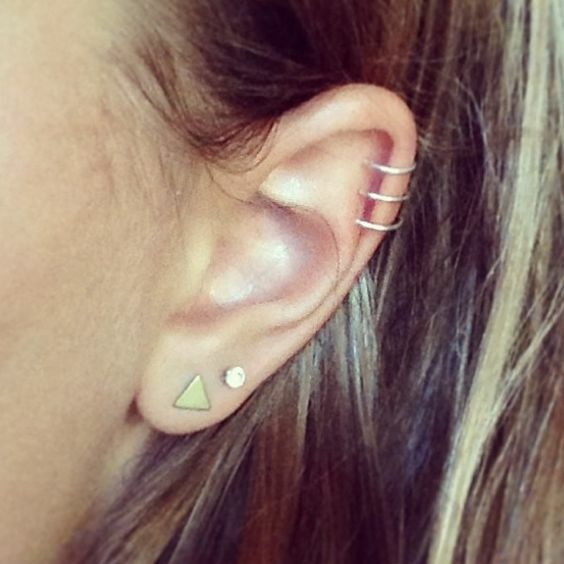 Most people opt for using a stud for this type of piercing, but there are others who prefer to get rings and hoops. This may take the piercing to heal longer and should only be used once the wound has completely healed. After all that’s done, the piercer will then discuss the aftercare instructions with you. Make sure to listen to their instructions and take notes if you have to. Follow the instructions to a T to make sure that your piercing will heal right away. The procedure is pretty much the same for all types of helix piercings, so you can read the steps above and expect the same for double helix and forward helix piercings. 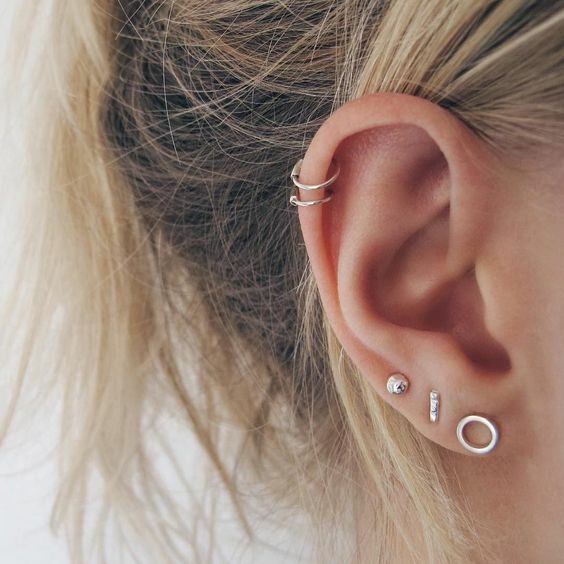 How Much will the Helix Piercing Hurt? You will feel a certain type of pain during the helix piercing – and that is the stinging sharp pain that the needle will cause. The other type of pain is the one during the healing period. Keep on reading, as we are going to discuss both below. 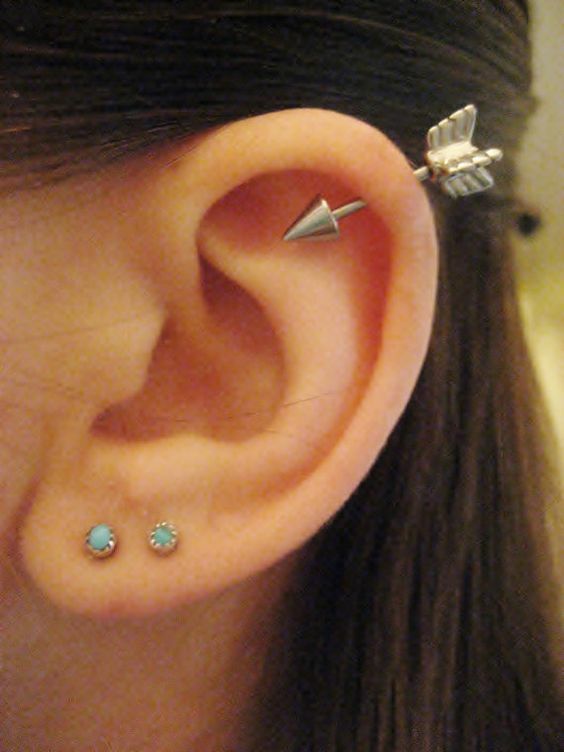 An arrow type of jewelry for a helix piercing. If you are scared of pain but are a fan of piercings, then you are in luck. Since the upper part of your outer ear is full of cartilage, the helix piercing won’t hurt that much. It does not have too much nerve endings and that is definitely good news for you. Lip piercings and belly button piercings will definitely hurt more than the helix piercing, as these areas are packed with nerve endings and are very sensitive. 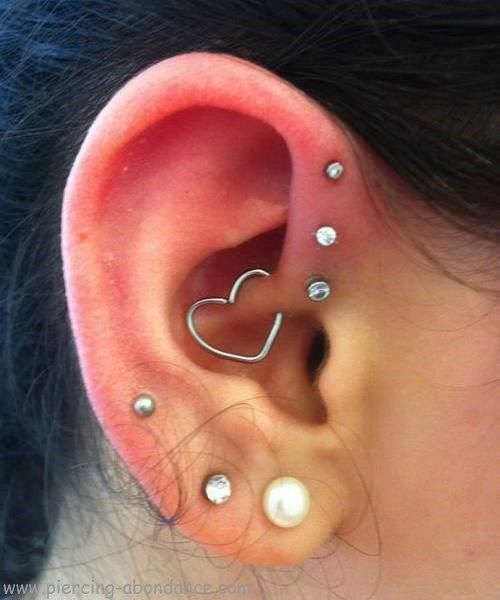 The pain level for the helix, double helix, and forward helix piercings are basically the same. The double helix will be a little bit more painful of course, as the piercer would have to do the piercing on your upper outer ear twice. During the healing period, you will experience some type of throbbing, redness, and tenderness in the pierced area. This is normal for you to experience for a couple of days. However, if you notice that the pain does not subside and it just keeps on getting worse, then go ahead and give your doctor a visit. You might be experiencing an ear infection and it would be best to have it treated ASAP. How Much Should I Prepare for the Helix Piercing? A forward helix piercing and an earlobe piercing. A lot of factors can contribute to the final cost of the helix piercing: the experience of the piercer, the shop’s reputation, the area that you are getting the piercing from, and a whole lot more. It’s a no-brainer that the more reputable and well-known the piercer and shop is, the more expensive the piercing is going to cost. You won’t regret it though and in my opinion, you should opt for the best and most reputable piercer in your area. This will assure you that the piercing will be done properly and that the possibility of an infection is much, much lower. For most areas and piercers though, the price of the helix piercing will cost you from $20 all the way to $55. It’s a fairly easy procedure for piercers, which is why it does not come with a high price. For the double helix piercing though, you can expect the price to be a little bit higher since the piercer will be doing the piercing twice. You can expect to pay about $50 to $60 for this procedure. For the forward helix piercing, the price is pretty much the same with the helix piercing, unless you decide to get a double forward helix piercing. This will cost you around $50 to $60 as well, similar to the double helix piercing. There are a couple of things that you can do to prepare for the helix piercing, which we will be discussing below. 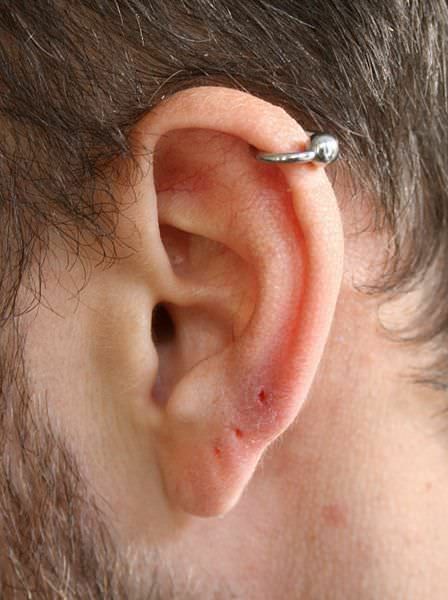 A barbell earring for the helix piercing done on a male model. It can be a hassle for you to come and pick up your aftercare supplies after getting your piercing done, as you are most probably feeling uncomfortable and the only thing that you would want to do is go home and lay down on your bed. This is exactly the reason why you should go and get your aftercare supplies before going to the piercer’s. Drop by the grocery store and grab some sea salt (not table salt), a few bottles of distilled water, small bowls or containers, and cotton balls. You will most likely be creating your own saline solution to clean your piercing wound, which is why you need these materials. If you already have all of these materials at home then, of course, there is no need to buy them. Sleep is a very important factor when getting a piercing done. Without it, you may feel nauseous during the procedure and your energy will definitely be lower. Your pain tolerance will also be lower, so you should make sure to get at least 8 to 10 hours of sleep before getting the piercing done. Drugs and alcohol can also greatly affect your pain tolerance and energy during the piercing. Alcohol is a blood thinner, which is definitely bad for your piercing. Since your blood will be thinner, your wound and piercing will bleed more. If you want your piercing to be less painful, then stay sober at least before your piercing. Before going to your piercer’s shop, make sure you are a hundred percent healthy. Going in and having the piercing done while you are sick is the worst idea that you can come up with, as your body’s immune system is basically lower than usual. You can easily get an infection if you are sick since your immune system is down. Drink lots of water, reschedule your booking with your piercer, and wait until you are a hundred percent well before going ahead with the piercing. 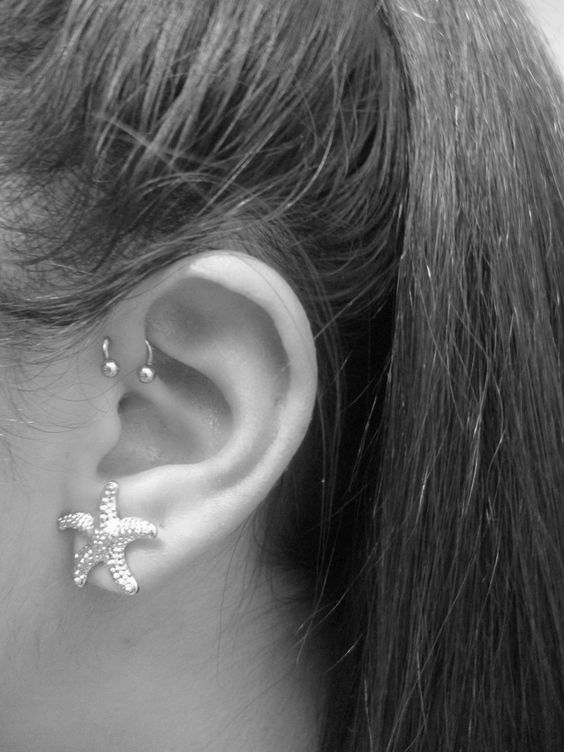 Ask yourself if you really want this piercing and that you can take good care of it. You have to be patient when cleaning and taking care of a piercing, as it usually takes a couple of weeks or months before your piercing heals. During the healing period, you must religiously clean the area twice to thrice per day. You would have to be dedicated and of course, your mind and body must be into it a hundred percent. Before getting the piercing, make sure that you are emotionally, physically, and mentally ready to take on this challenge. A couple of ear piercings including a helix piercing. How Long Should I Wait Before my Piercing Completely Heals? Since the helix piercing is done on a cartilage, the healing period is expected to be a little bit longer than your usual ear piercings. 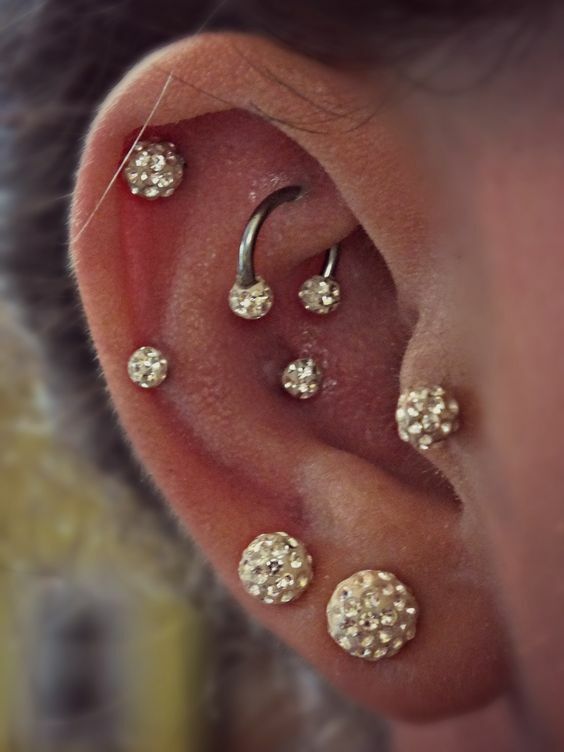 The helix, double helix, and forward helix piercings have a fairly similar healing time. Expect them to heal completely between three to six months – but make sure that you are also doing your cleaning routine religiously. The healing period can take up to a year if you do not take care of your piercing and clean it. If you catch an infection due to the piercing, then you can also expect the healing period to take longer than usual. Double helix piercing plus a couple of cartilage piercings. How Old Should I be to be able to Get a Helix Piercing? When it comes to piercings, different states have different laws. However, for most of those states, the legal age is usually 21. If you are 18 or below, then you would have to get consent from your guardians or parents. They would have to come with you to the piercing shop or the piercer would have to talk to them even before the session starts. Forget about faking your age, as the piercer will most likely ask for your ID, just to make sure. If you are underage and they find out that you are lying, then you will be refused their service. Getting an infection can often be a problem with new piercings. To avoid this, you must always remember to clean your piercing with the saline solution. 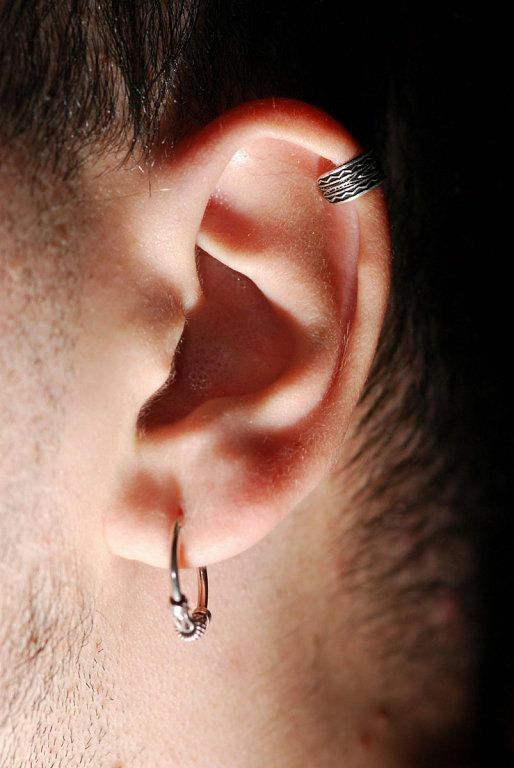 A simple hoop earring for a male helix piercing. Here are the symptoms of an infected helix piercing. If your helix piercing swells after three days or more, then go ahead and visit your doctor, as this might mean that you have an infection. Swelling is usual for a couple of days after the piercing as a foreign object was inserted into your body. Same with swelling, redness is normal for a couple of days. However, if it lasts for a week or more, then it might mean that bacteria are present on your piercing. Let your piercer know about this and ask what you should do to bring the redness down. If you’re still feeling uncomfortable around the area of your piercing after a week or so, then go ahead and head to the emergency room. This might mean that you are suffering from an infection, which the doctor can confirm. Never self-medicate as this can only make matters worse. It is normal for your piercing to bleed a little bit after getting it done. However, if the piercing continuously bleeds and pus is coming out as well, then this might mean that you have an infection. Visit your doctor to know the best course to take. Getting a fever means that you are suffering from a severe infection. Immediately visit your doctor and tell them about the piercing so they’re aware of it and they would know what to do. Luckily, the helix piercing is not too sensitive to be put at too much risk. The only things that you would have to watch out for are migration and infection from dirty equipment. Piercing migration happens when the pierced area refuses to keep the jewelry in. Tell your piercer about this and ask what would be the best action to take. Before having the procedure done, make sure you ask your piercer how he will pierce the area. If it says that he will pierce it with a gun, then go ahead and run out of the shop. Piercing guns are harder to clean and may contain a lot of bacteria even after being cleaned. This can also put a lot of pressure on your cartilage and can irritate it further. They should use a sterile hollow needle to pierce the area, even if it is for a helix, double helix, and forward helix piercing. 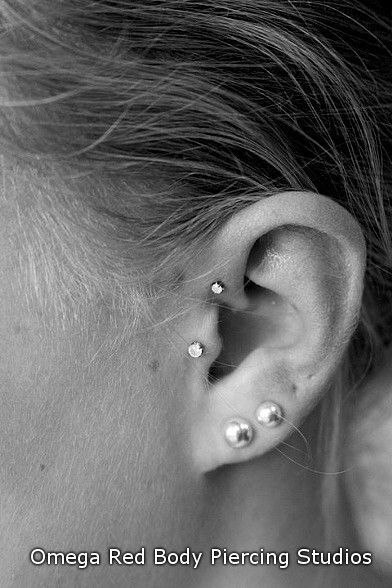 Here are some photos that you can use for inspiration when you have finally decided to get a helix, forward helix, or double helix piercing. 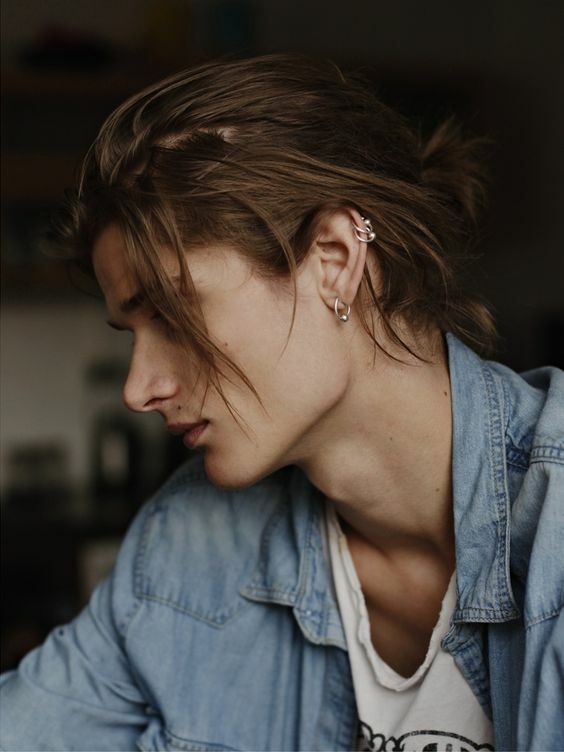 A double helix piercing done on a male model. Three hoops for a triple helix piercing. 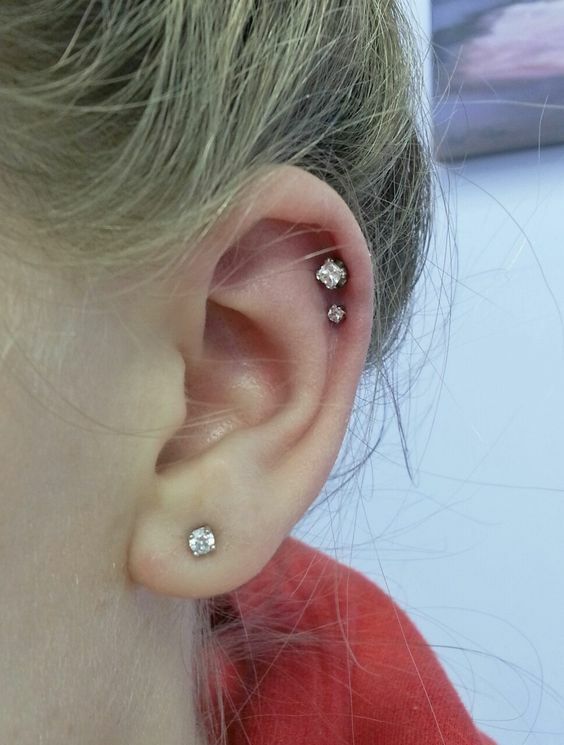 An example of a triple forward helix piercing. A thicker type of jewelry for the helix piercing. Three simple stones for a triple helix piercing. A simple precious stone for a forward helix piercing. A double helix piercing on a lady. 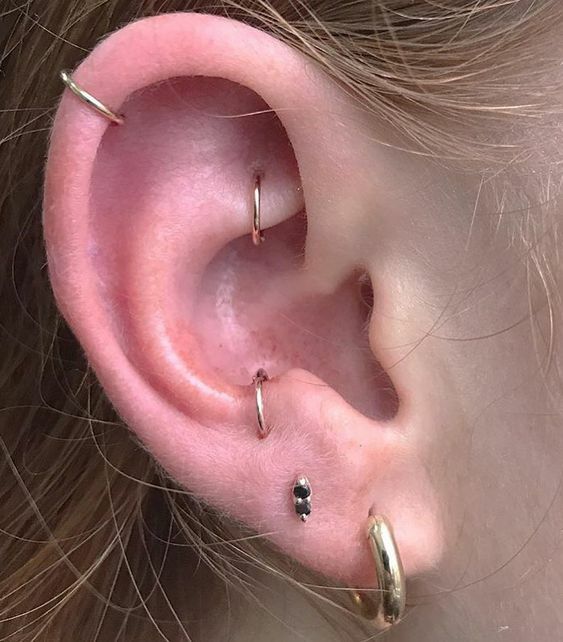 A simple helix piercing plus a few cartilage piercings. A seahorse type of jewelry for a helix piercing.